Good Afternoon Year Two Families May we extend a warm welcome back to all of our beautiful students and families. We do hope you have enjoyed a restful holiday break with plenty of smiles and relaxation. Sight Words Today we are pleased to advise that we are sending home your child's individual current set of sight words. Please note your child's reading level and sight words will be tested throughout the term. This afternoon your child brought home their Writing Draft Book and Art Folio. Please take the time over the holidays to sit down with your child and look at both. On the inside cover of their writing books you will find 2 samples of their writing from the first week of school. From reflecting on these, I set them their first writing goal for the term. Giving your child one thing at a time to focus on in their writing has allowed them to focus and feel success in their writing. 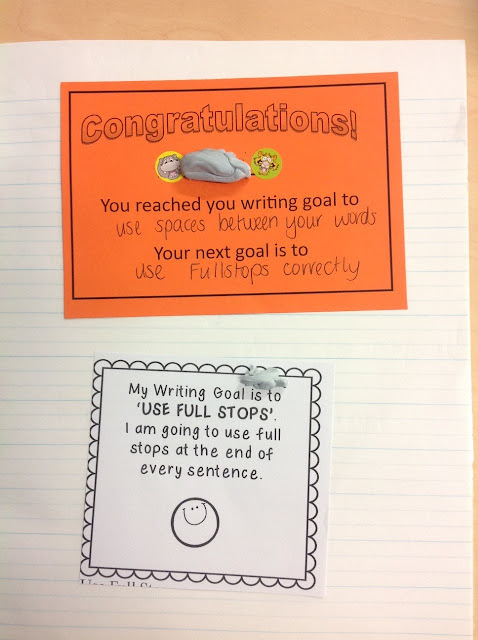 All children reached their first writing goal at some point this term. You will find a certificate in their book detailing their achieving and setting their next goal. Celebrate how much their writing improved in their final piece of writing (Beach or Pool) compared with their first writing samples of the year. Year 2H enjoyed some hands on Maths this week to practise counting in 2s, 5s and 10s and to order numbers from smallest to largest up to 100. We used items from our maths pencil cases to help us. Some clever clogs used pencil and paper to work with numbers up to 1000! In Art we continued our artist study of Monet and viewed his Japanese Bridge painting over the famous water lily lake. We admired Monet's use of colour, line and shape. We viewed an oil pastel tutorial and then used our own art skills to create an image of a bridge over the water lily lake. We finished our artwork with a photo of ourselves posing on the bridge. It was great cutting practice to cut around the photo and a big decision of where to place it on our backgrounds.